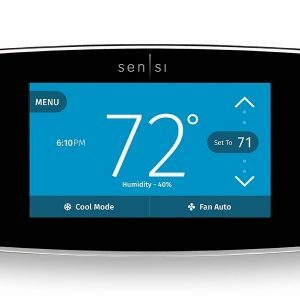 How Can I Reduce Indoor Humidity? 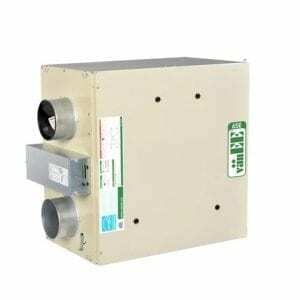 – EM Air Systems Inc.
How Can I Reduce Indoor Humidity? 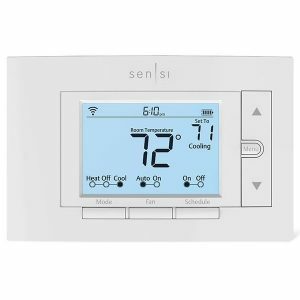 Do you have high amounts of humidity in your home in the summer time? Humidity feels awful and is the absolute worst in the summer. Humidity makes you hot, sweaty and uncomfortable in your own home. All you really want all summer is to be relieved from the hot humid outdoor air while in your home. If you are experiencing any problems we just might be able to help you out. What is the Ideal Humidity Level in the Summer? The range for ideal indoor humidity is approximately around 30-50%. When there is too much moisture in the air it makes you hot, uncomfortable, and can actually have lasting damaging effects on your home. It’s true! Too much humidity in your home can lead to mold growth and can create condensation inside of your walls. This can also lead to structural damage and the wooden beams in your home to rot. Being exposed to too much humidity is also problematic to your health. It can lead to respiratory problems, allergy flare-ups, and sleep interruptions. On the other hand, air that doesn’t have enough humidity can also be a trigger for allergies, asthma, and can damage wood floors. This is more so a problem in the wintertime. Keeping the humidity level in your home between 30-50%, you are able to find a balance between having too much moisture and not enough. How can I tell if my Home is too Humid? The easiest way to find out the humidity levels in your home is to purchase a hygrometer. A hygrometer measures moisture levels in the air. These hygrometers tend to not be very expensive and can be found at your local hardware store. Once you put a hygrometer in your home, measure the air the air quality in you home. Is the moisture level higher than 45-50%? If so, you need to reduce your humidity levels. 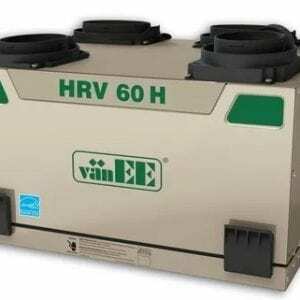 How can I Reduce my Humidity Levels? 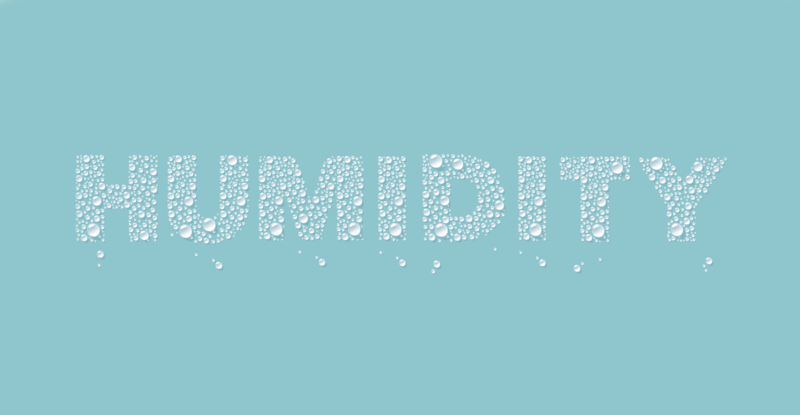 Now you know you have to reduce your humidity levels—but how do you do it? Your air conditioner naturally helps reduce indoor humidity because it’s introducing cooler air while removing warm, humid air. Keep humidity under control by getting your air conditioner tuned up, and make sure that you are frequently changing the air filter. Anything that restricts airflow or causes your air conditioner to stop working can cause humidity levels to rise in your home. When you’re showering or cooking over a hot stove, use your ventilation fans. While you may normally turn them off after you’re done your activities, keep them on a little longer. 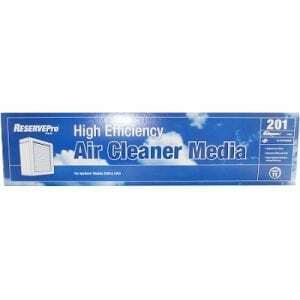 This will be a big help reducing indoor humidity and getting air to move around your home. We all love taking hot showers as much as everyone else, but they do add to the increase humidity levels in your home. By lowering the temperature of your showers just a few degrees, you won’t add as much stream to the air, which helps with humidity levels. The last thing you want to do when you’re trying to reduce indoor humidity is to add moisture. That is what happens when you have leaking pipes and faucets. Make sure that you fix any leaks that you may have and wrap your exposed pipes in insulators—this will keep condensation from forming. Signs of leaks include stained drywall, wet spots, and irregular water bills. 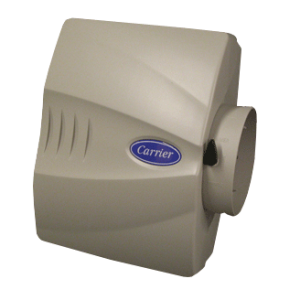 The most sufficient way to reduce indoor humidity is to invest in a dehumidifier. Dehumidifiers fit right inside your furnace air handler and removes moisture from the air as it passes through. When the air reaches you, it’s dry and cool—just the way we like our home to be in the summer. Do you want to know what the best part? You’ll actually have to use your air conditioner a lot less since it now has help keeping humidity levels low. That means less money spent on cooling bills. Sometimes just opening your window will help lower your humidity levels. However, you don’t want to do this too much when your air conditioner is running. Otherwise, you’re spending money cooling air that is getting pulled outside. Don’t wait to take control of your own comfort. 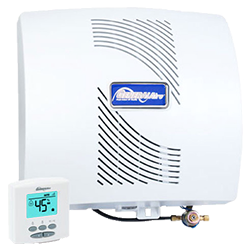 Get EM Air Systems to help you reduce your indoor humidity levels now. This entry was posted in Tips and tagged air conditioner, dehumidifier, humidity. 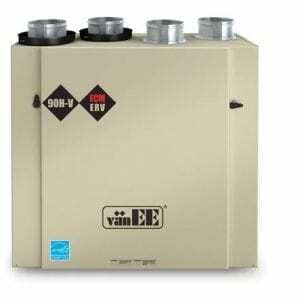 What Are Common Air Conditioning Problems? This article covers a important issue of humidity. 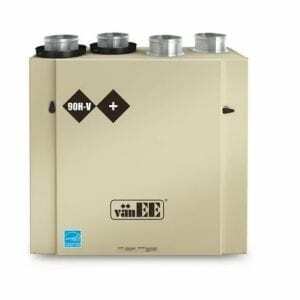 HVAC system works flawless with its regular maintenance. Back in 1987 E-M Air Systems believed it could do better for the consumer by ensuring their customers received the best possible service, products and price. 30 years later we still follow this belief. 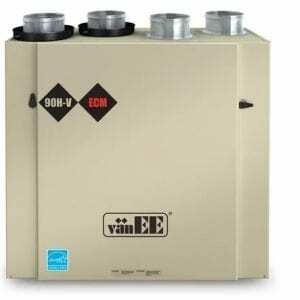 windows Edmonton on Navien Tankless Water Heater the Right Choice for Your Home!